The firm’s bond with Missoni, a leading international player in both the fashion and lifestyle sectors, is also a “family affair”. Rosita Missoni, born Jelmini, is in fact the sister of Alberto and Giampiero, who run T&J Vestor with their Torrani cousins. Over the years, the collection has gradually expanded and become richer in response to the MissoniHome brand’s growing success. In addition to exquisite printed, embroidered or jacquard fabrics there are now products and solutions for indoor and outdoor furnishing and for decorating the home and related spaces. In recent years its significant expansion has been matched by a strong international reputation. 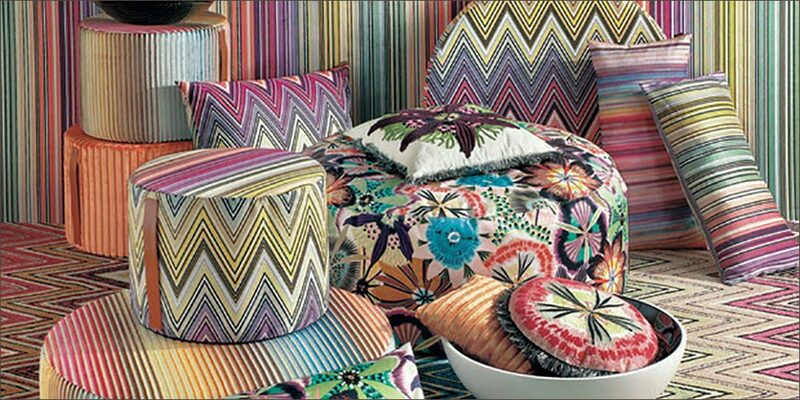 Furnishings now account for a major part of its rich assortment of textiles and ideas for the home, designed by Rosita Missoni.